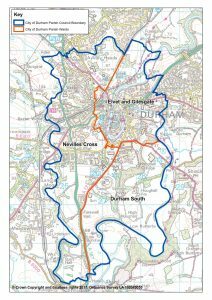 Welcome to the website for the City of Durham Parish Council. The Council became a recognised legal entity in its own right on 1st April 2018 and the first elections to the Parish Council took place on Thursday 3rd May 2018. If you would like any further information or have any queries please do not hesitate to contact us.